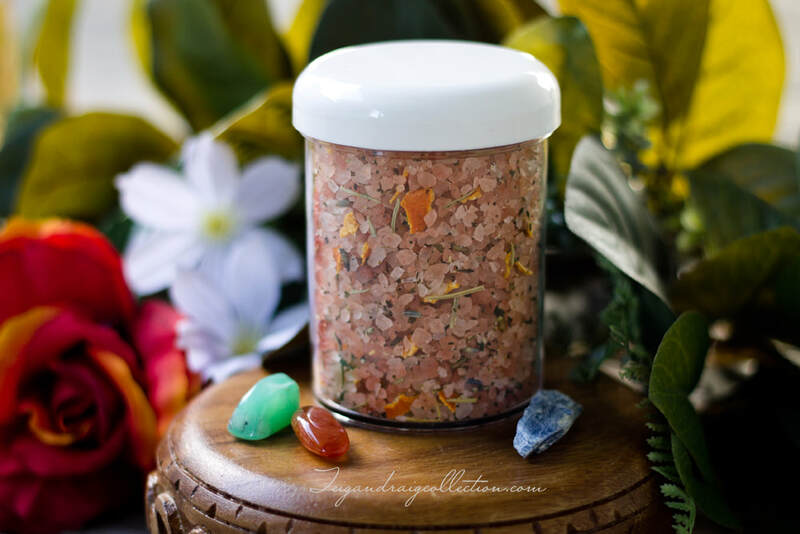 Himalayan Salt Ritual Bath Soak: Pure Happiness. Rosemary and orange peel are cleansing and purifying while ushering in happiness and Divine protection. The sweet orange and light mint scent is heavenly and uplifting. 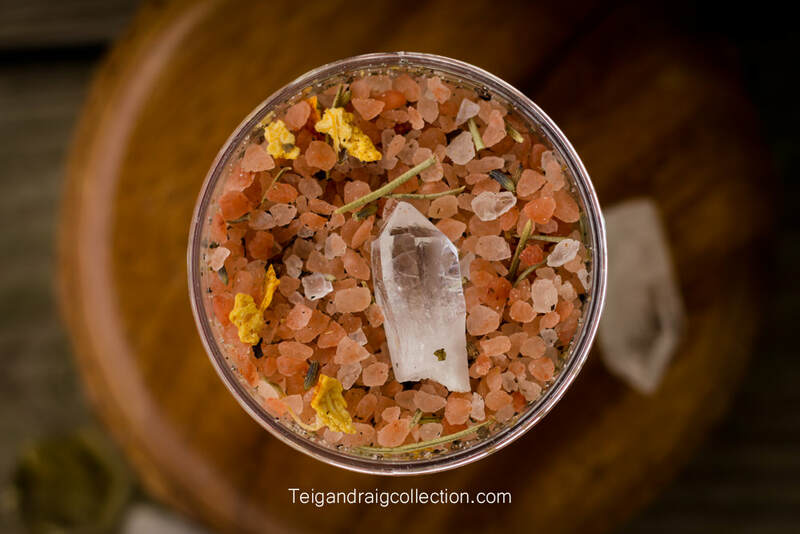 Every Himalayan Salt Soak from Teigan Draig Collection comes with a clear quartz point to amplify the properties of each wonderful blend. Drop the quartz point in the tub while you soak up the sunshine with Pure Happiness, or display and use as you see fit. All skincare products are made fresh to order to ensure a quality product is delivered to your door. **Note for those with allergies: Pure Happiness Bath & Body products contain orange essential oil and almond oil (skin emollient). If you have an allergy and need a product without almond oil, please contact me. I would be happy to make a custom order for you and substitute a different emollient at no additional cost to you.